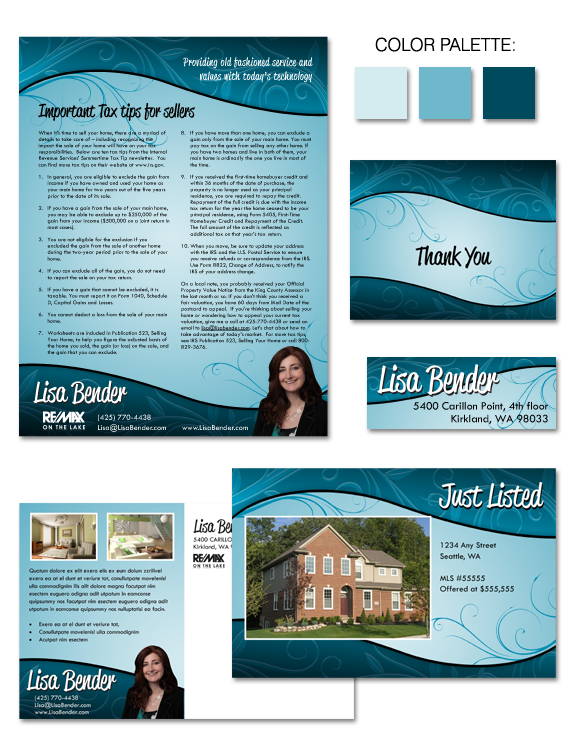 Lisa came to us wanting a colorful, fun, and stylized brand that showcased both her bright personality and professionalism. Lisa is patient, loyal, easy to talk to, and works hard for clients – doing whatever it takes to make her clients happy. She was drawn to blues and greens, swirls and interacting elements – as well as a Retro feel for her accent font and name treatment. All these elements added up to a wonderful, unique Signature brand design for Lisa.